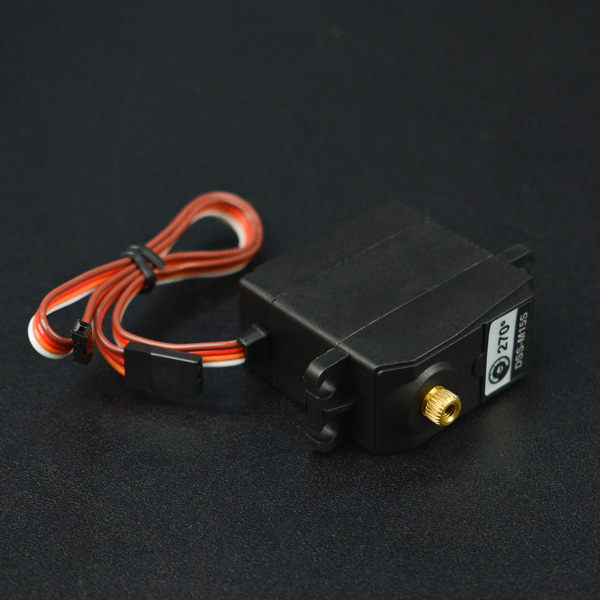 DSS-M15S servos have been well received by customers in these years. It has extremely wide angle control range, huge load capacity and excellent quality. This DSS-M15S with analog feedback has broken its internal potentiometer signal. This is an analog signal with 0~3.3V feedback. 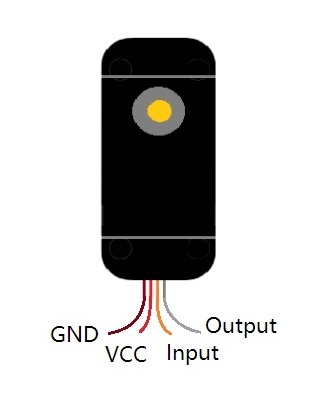 You can connect it to MCU to realize close-loop feedback control. DSS-M15S 270° Metal servo with feedback is compatible with Arduino Servo library. You can drive it with Arduino Board and read the angle value from analog side. If you doesn't need such accurate value, you can use m=0.47;n=-33.4 directly. 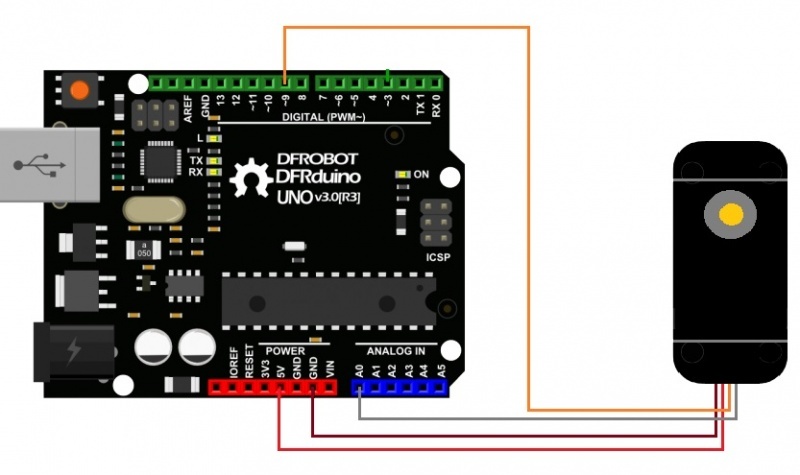 Arduino will drive the servo with D9 pin, and receive the Analog feedback from A0 port. 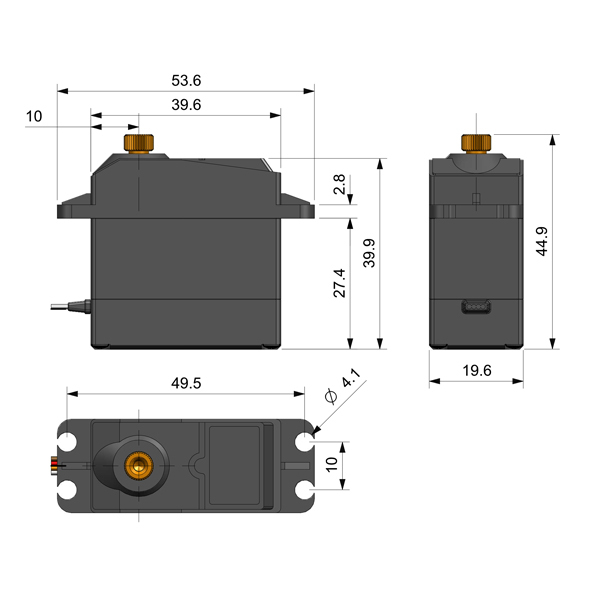 Get DSS-M15S 270° 15KG DF Metal Servo with Analog Feedback from DFRobot Store or DFRobot Distributor.